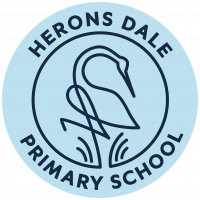 Welcome to Herons Dale Primary School, a very special school catering for children who have a wide range of learning difficulties. We aim to ensure that each and every child is happy and secure so that they can enjoy learning. Here at Herons Dale Primary School we are very proud of what we can offer; we have a good range of facilities that help us to fully engage all our pupils in their learning and our children enjoy coming to school. We strive to be flexible in our approach to ensure that we meet the needs of each child as each child is unique regardless of their age, ability or diagnosis. All of our pupil's achievements are celebrated, no matter how small they are. Each step of learning is important to each child and their family. "Enabling, valuing and empowering all, in our positive, safe and happy school."